DIRECT FROM LOURDES - Tree of Life Bracelet - Brown. 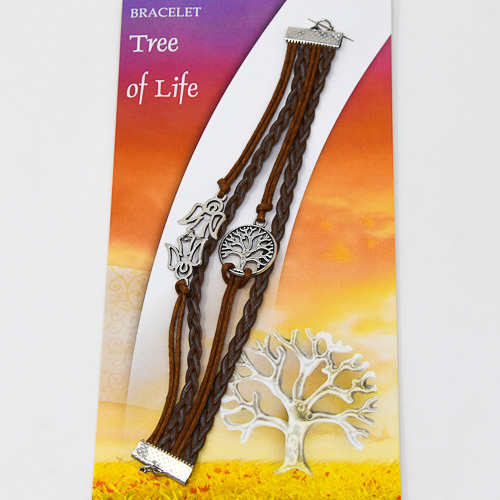 Tree of Life Bracelet - Brown. The tree of life rope bracelet in brown with clasp. The Lord God planted a garden in Eden; in the east, and there he put the man whom he had formed. Out of the ground made the Lord God made to grow every tree that is pleasant to the sight and good for food, the tree of life also in the midst of the garden, and the tree of knowledge of good and evil.